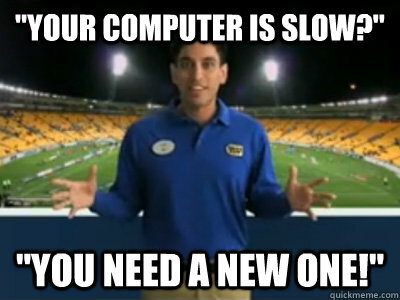 "your computer is slow?" 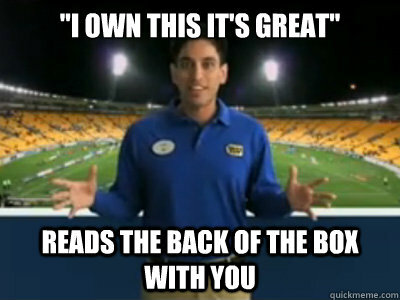 "you need a new one!" "you want to take pictures of your grand kids?" 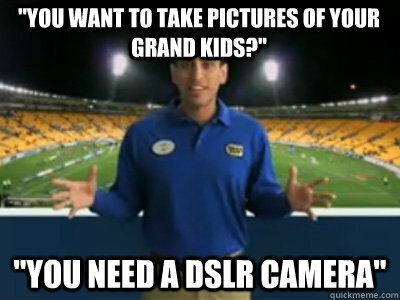 "you need a dslr camera"